Steel post protectors will prevent damage to your rack uprights, conveyor legs and other types of machinery. Each steel post protector is formed out of either 1/4”, 3/8” or 1/2” steel. Our “V shape” design will give you added protection over the competition. 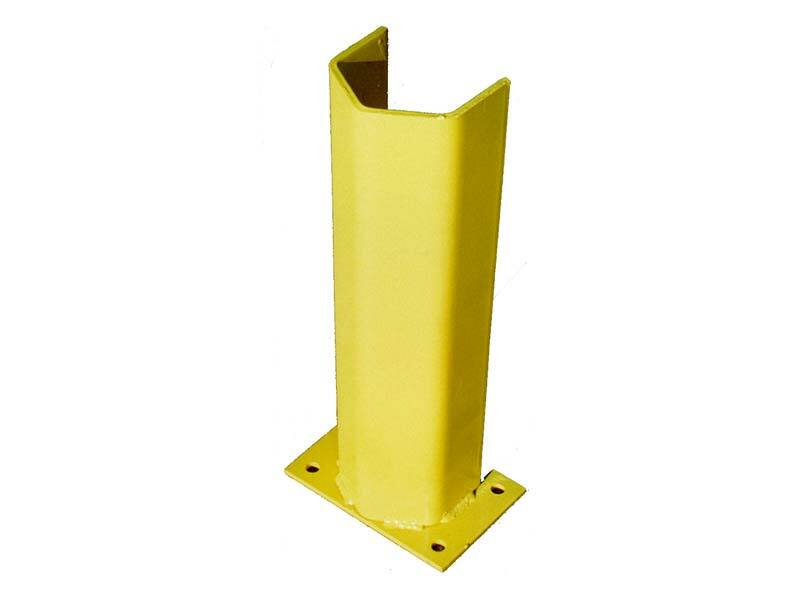 Every post protector features a base plate with (4) Holes 9/16” in diameter. Painted safety yellow, these rack guards will be highly visible. Standard heights are 12”, 18” and 24”. 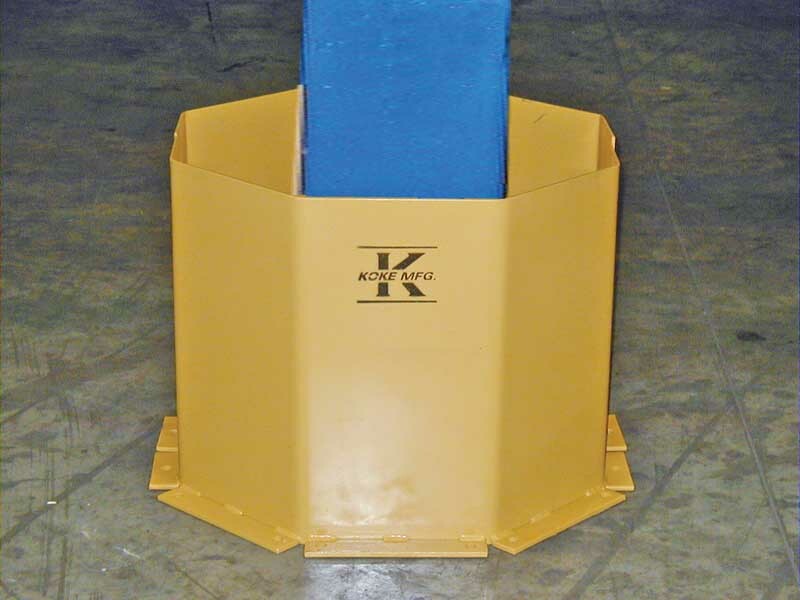 Post protectors are designed to fit around uprights up to 4” wide. Special application post protectors are available. Please call us with your requirements.